The University of North Carolina Wilmington seeks an Operations Coordinator and Liaison to support the school leaders in the process of coordinating the D.C. Virgo Preparatory Academy Lab School. The lab school involves cross University campus collaboration to provide students with wrap-around support and services to comprehensively address their academic, social-emotional, physical, and family/community needs. The Operations Coordinator and Liaison supports the school-based team and institutional leaders in cultivating a culture of innovation that supports effective instructional practices/strategies to promote student academic success and personal success for all students and adults in the school. This position works collaboratively to develop and implement policies, programs, curriculum activities, professional development, and budgets to achieve the mission of the school, as well as, with the university, school staff and community stakeholders to support the work of teacher candidate preparation, school leadership preparation, and education research. The Operations Coordinator and Liaison supports university leadership and the school team in supporting a process that invites the voices of multiple school, community and university constituents and that is respective of the cultural differences in each constituent community. This position responds to diverse community interests and needs, and mobilize community resources to demonstrate and promote ethical standards of democracy, equity, diversity, and excellence. This process includes formative and summative evaluations to ensure that ideas are captured, analyzed and used in the decision-making process. Master’s degree in educational leadership or related fields (such as educational policy analysis, adult and continuing education or curriculum and instruction); qualifying degrees must be conferred and received from appropriately accredited institutions. Excellent oral and written communication skills; Demonstrated ability of working with at risk student populations; Demonstrated proficiency with Microsoft Office Suite; Demonstrated ability to utilize digital solutions. Preference will be given to: candidates who have leadership experience in innovative and diverse schools with a track record of improving student outcomes for all subgroups. The preferred candidate would also show the following: knowledge of public school and university partnerships; experience as a school-level administrator; administrative and supervisory skills or experiences and skills that closely parallel administrative type work. The individual would have previous experience that demonstrates the ability to be self-directed; organized with attention to detail; innovation and outcome oriented; technology proficient across multiple platforms; develop strong interpersonal relationship skills including collaboration with community members, school personnel and university personnel; highly motivated and be willing to be receptive to innovative practices/procedures; willing to take the initiative to learn the duties/responsibilities/expectations of the work and operations of the lab school; and willing to work alone or as a group/team when needed. The University of North Carolina Wilmington Lab School model is based on the belief that education is a public value, every child has the right to high quality public schools and that public education is a collaborative endeavor with communities. This lab school will prepare students to critically think and problem-solve. It will nurture students’ creative capacities, enhance their literacy skills and build their capacity to work within different contexts. The Watson College of Education (WCE) (www.uncw.edu/ed ) is a growing college with over 60 tenure-track faculty members working in undergraduate and master’s programs in the Department of Early Childhood, Elementary, Middle, Literacy and Special Education and the Department of Instructional Technology, Foundations and Secondary Education, and master’s and doctoral programs in the Department of Educational Leadership. It offers several international study programs and maintains partnerships with numerous school districts, community colleges, and colleges/universities in the region. The Watson College of Education is committed to inclusiveness and to embracing unique contributions. This commitment to diversity is embedded in our mission and value statements. This position is time-limited with the possibility of continuation pending availability of funds and department need. 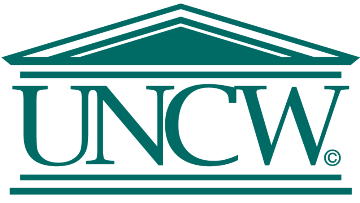 For more info/to apply visit http://jobs.uncw.edu. Applications must be submitted through the online application system to be considered.